Our view: Elevated position affording wonderful views over Moriond and only 500m from the centre - ideal for large groups! 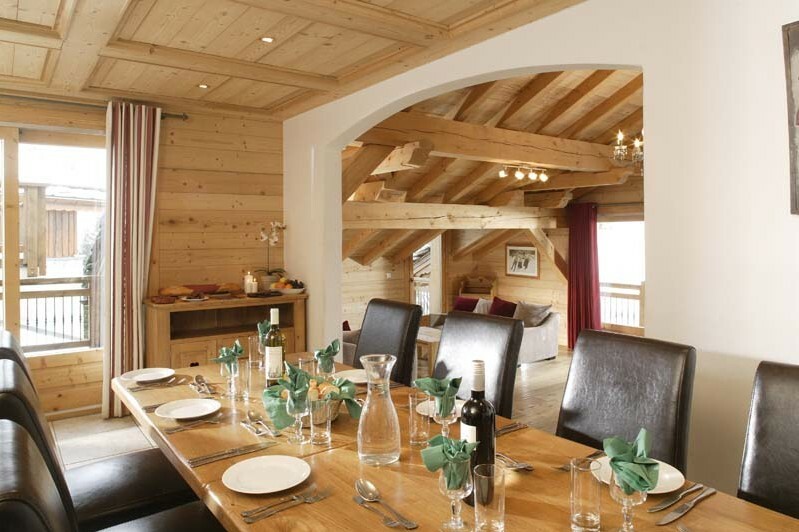 Chalet Estrella is the epitome of a traditional Alpine chalet; beautifully constructed from local wood and stone. 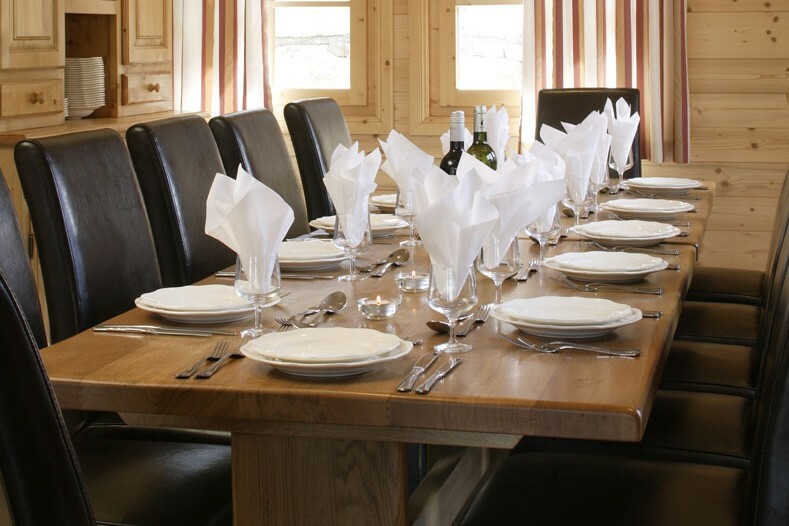 The chalet boasts modern facilities, all rooms en-suite with hairdryers and a high standard of décor and comfort throughout. 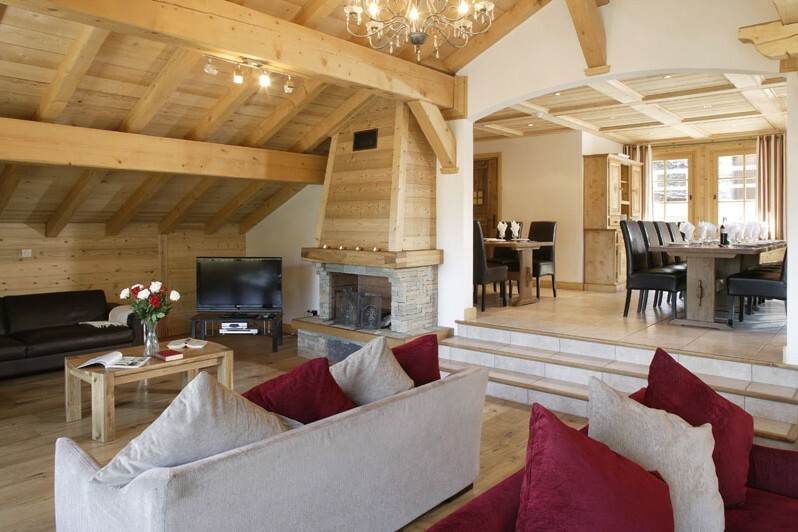 The warm and inviting living/dining area with exposed beams has comfy sofas for you to sink into beside an open fire. 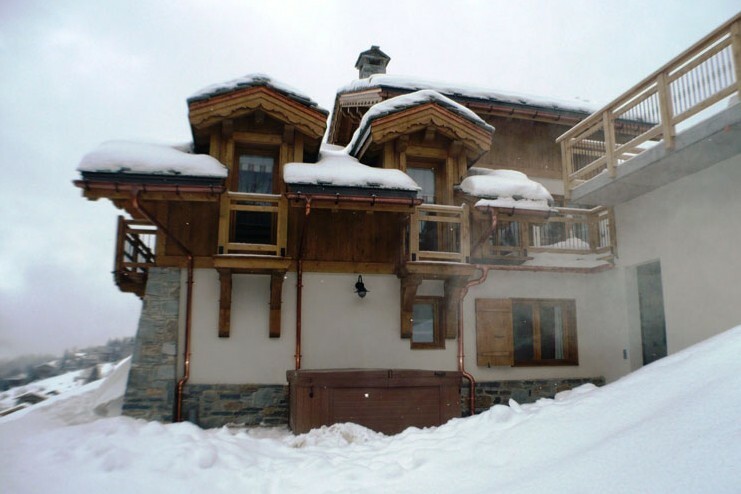 There is an outdoor hot tub in which to relax those tired ski legs after a hard day exploring the vast Three Valleys ski area. 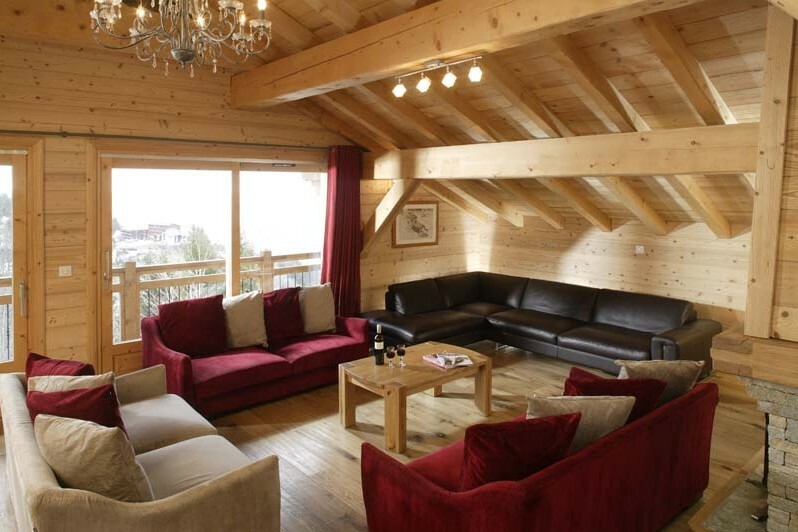 The chalet is located in a quiet hillside setting with wonderful views and it is only 500 metres (approx.) from the centre of Courchevel Moriond (formerly Courchevel 1650). 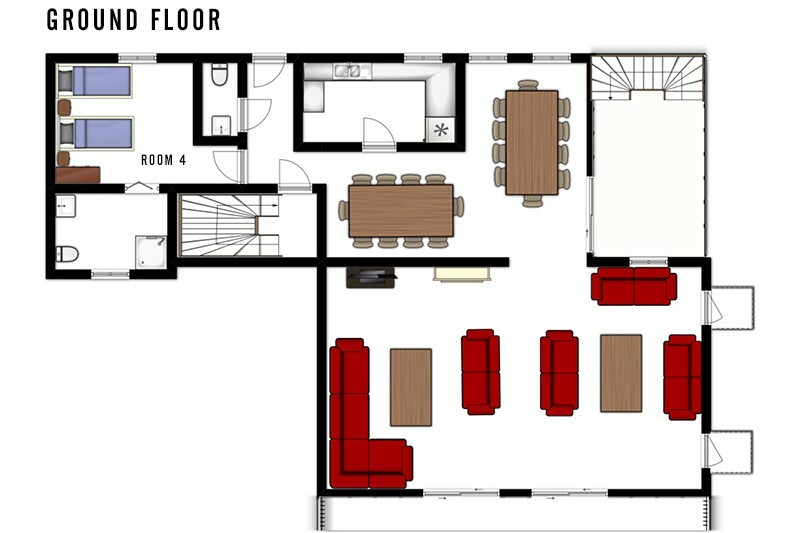 The chalet is also only 300m (approx.) from the escalator which takes you straight to the centre and the lifts. 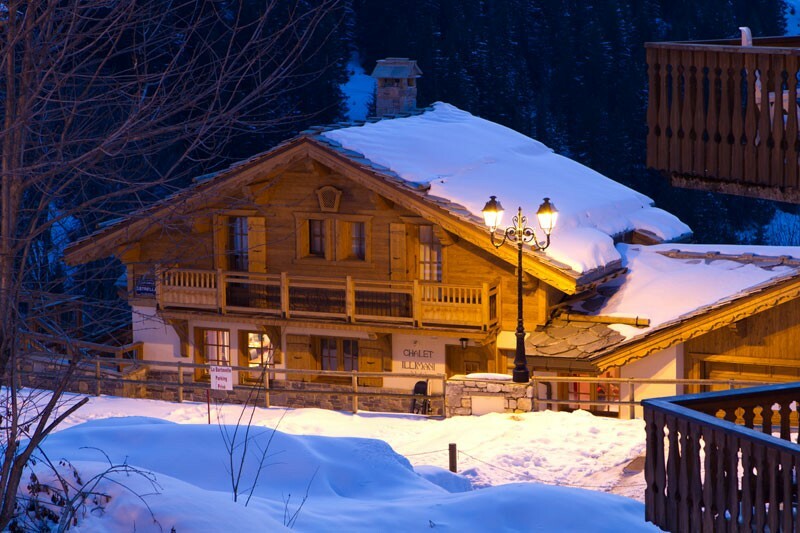 Therefore, not only are the shops and bars of this great resort close by, so too are the Ariondaz and Marquis lifts, as well as the slopes of Courchevel and the Three Valleys. 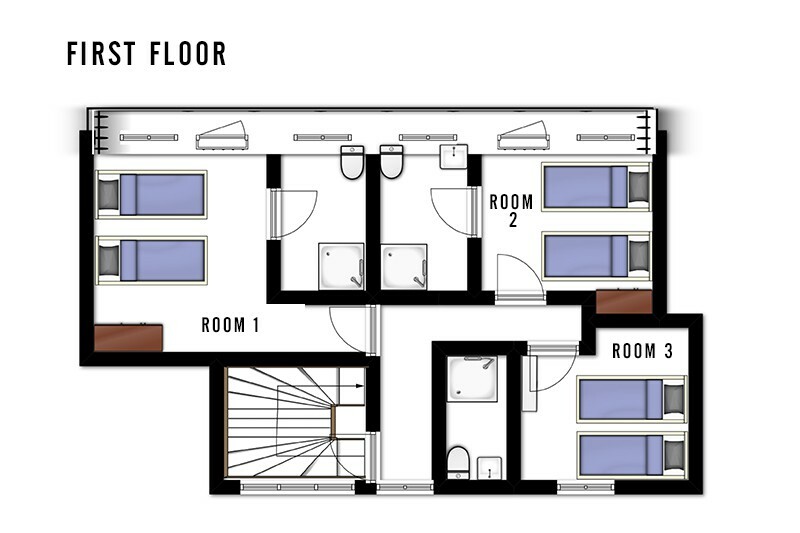 Room 4 = twin with shower and WC (off communal area, suitable for wheelchair access). 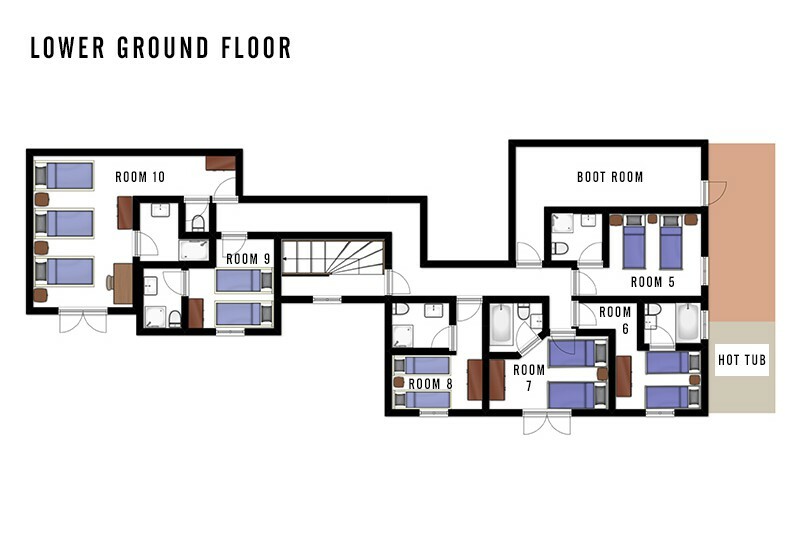 Rooms 1 - 3 = 3 twins with shower and WC (under eaves).